The pratikool-anukool theory making rounds and giving certificates to each and all on payment of some money, does not hold ground, as you will read in the following lines submitted by me. a) Should we recommend gemstones for functional malefic planets? functional benefic planets only? or Both? b) Should we recommend gemstones for planets placed in 6th, 8th and 12th Houses? In which conditions? Normally not. But essentially if these planets placed in 6th, 8th or 12th are placed in nakshatras who are owners of the wealth giving houses or desire fulfillments(2nd and 11th ). (Which is what one requires in Life, so lets be honest here). c) Should we use Divisional charts for recommending gemstones instead of Rashi chart? For example: Dashamsha for Career? d) Should we recommend precious and semi-precious gemstones and leave the decision to the user to decide which one to wear? e) Should we recommend gemstone only for the lords of Lagna, 5th and 9th? If so, why not others, if they are benefic and placed well? The 9th if a badhaksthana for a Fixed Lagna must not be recommended. One must not suggest Lagna Lord Gem if it is placed in nakshatra of the planet owning 8th or 12th. Because then the Lagna Lord will be actually giving the results of these negative houses. For a person who is in service the Gemstone for the 5th lord should not be recommended because then he may begin facing problems in his job, since the job is signified by the 6th house and by wearing the Gemstone for the 5th Lord one is actually strengthening the 12th house from the 6th. BUT for a person looking for good health , he must be suggested a Gemstone for the 5th Lord, because the 5th signifies Cure. So there are Gemstones to be recommended for a specific purpose too depending on the current problem. For instance one not getting a job if badly looking for one, may be suggested a Gemstone for the planet signifying the 6th Lord, but eventually after acquiring one, has to remove the same, or else would also increase the ill health propensities in his nativity. Even the Lord of the 8th can give superb results if well placed, and even the Lord of the Lagna can give bad results, so there is nothing like some mandatory rule to be followed in this matter. f) Which gemstones do you recommend for each planet? Example: Red Ruby and Red Garnet for Sun. Emerald, Peridot, Green Jade for Mercury. The Original Gemstones. Ruby and Emerald. If the person cannot afford this, then let him keep the objects of the planets in his Shirt Pocket, like piece of Haldi , or some sugar for the Moon etc. Gemstone recommending is an intricate science but now has become a like a Duplicate Rolex watch in hands of one and all. At times Gems have to recommended for a temporary time, keeping the end(Result) in mind and once that is achieved,the Gem must be removed. At times if one is not able to marry then one has to be suggested Gemstone for Planet signifying 2nd and 7th but would you allow the person to wear this, till he becomes old, when this same Gemstone would tend to strengthen to the maraka propensities for the native ? The there are other problems to contend with too. For a newly married couple a green Emerald will not be favourable. Why ? Because it will reduce the sexual desires. Remember the basics ? Mercury is a Hermaphrodite Planet . Then there are people who at the drop of the hat suggest The Pearl or the Moonstone immediately. Now if the Sun is the Lord of the Kundli or having Lordship of an imposrtant house in the Horoscope, would it make sense to wear a Pearl ? Or else if one is born on a Amavasya or a Poornima one should certainly note what would be the effects of wearing a Pearl before jumping to suggest this. There are other factyors like waning Moon and the waxing Moon the implications of which must be understood well before suggesting this Gem. Instead of bringing stability to mind, on the contrary it may cause depressions too. And by the way nobody in Real Life is so unstable that we need to suggest Gems for such frivilous matters which most astrologers do. “Your mind will become calm. You will be able to make better decesions. You will have peace of mind”. This is logicless talking. Because the other problems which may affect in a horde, would not be foreseen or one may not have the foreseight to observe these. Even the above made suggestions would change strictly speaking if one goes for Original Cosmic colour therapy ,on which I wil put a note some other day or may not put up because its too exhaustive and technical. For Instance we think that the Pearl means white, but actually its Cosmic rays are made of Orange colour. We think Diamond as White but its Cosmic rays are of Indigo colours. If one has excess of Red(Pitta) Cosmic rays in his body then one has to counter it with Orange/Green(Kapha) Rays. This is related to the various Chakras in the body. For instance the Red Colour (Fire Element) represented by Ruby, rules the Manipur Chakra in the body , also known as the Solar/Abdominal Plexus. This will be affecting the Pranamaya Kosha. All the Gems are nothing but a Concentrated form of the Cosmic rays (like Gulab Jala made of Rose, or Vanilla Essence), and each Ray is linked to a particular wavelength (For ex. Red has a Wavelength Mu of 800-650) which affects the body, so wanton suggestion of Gems is a dangerous habit and carries a lot of rinabandhan on the Astrologer suggesting so. 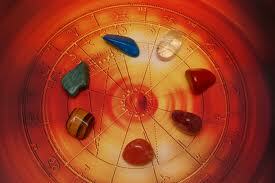 Gems relation with astrology is also an extension of that very concept. In other words Gems like diamond, emerald, ruby etc are nothing but the tools which helps us to take a little more indirect benefit from light. Here I must clarify that no gem can completely alter the effect of one’s destiny, as advocated by many commercial astrologers and jewelers. Had it been so then every rich man would have been famous and happy. I hope you will agree with me on this. Still I have taken this topic as it really demands the necessary attention, reason being many of the astrologers without even understanding the concepts behind the gems and their relation with birth chart, just direct their clients to wear a costly gem. 1) In modern world Jewelers hardly give a genuine gem to a common man who doesn’t know the intricacies of the stone, even after taking a hefty amount. 2) Everybody cannot afford a gem. Now for the sake of this 3rd point I am writing this article, i.e. HOW TO DERIVE THE MAXIMUM EFFECT OUT OF A GENUINE GEM, EVEN IF IT IS MAKING A DIFFERENCE OF 05%-10%. In other words, HOW CHOOSE THE RIGHT GEM for you, which could give you that 05%-10% effect. Keep these rules in mind to know, gem of which planet is suitable for the native, i.e. Which gem will only have a positive effect on the native. ü CUSPAL lordship of Kendra (1st, 4th, 7th, 10th), trikonas (1st, 5th, 9th), 2nd and 11th houses. But is WEAK in strength (from the angle of shadbala, shadvarga etc), here gem will give some little support to the planet by raising the intensity of the light governed by that gem corresponding to a particular planet. As a result some deficiency w.r.t that light can be countered. All the functioning governed by that light (green, yellow etc) on the physical, conscious, sub conscious and super conscious levels will get positively affected. Except Sun, if any planet is in very close association (within 1 degree) with MARS (KUJA) then that planet is said to be in planetary war. Some astrologers including me extend this concept to all the planets beyond mars. When a planet is in association (within 1 degree) with an enemy planet and its degrees are less than that of enemy planet then that planet is said to be a defeated planet. So for this defeated planet which is in a planetary war with an enemy planet (Enemy here means lord of 3rd, 6th, 8th, 12th houses and naisargik enemies of this defeated planet and mars), a gem could be wore. 3) Now read this point very carefully, first I will take an example and then I will mention the rule, assume Saturn is placed in Scorpio lagan and all the 3 Trikond lords Jupiter, Moon and mars are placed in 3rd house in Saturn’s sign i.e. Capricorn. Now here Saturn’s Mooltrikona sign is falling in Kendra hence will give dominant effect of Kendra, and now assume this Saturn goes weak from the angle of shadbala and shadvarga. In the above case if this native wears a high carat Neelam especially with the start of Saturn’s dasha then the native could get even more than 20% positive effect on his destiny, reason is simple, Neelam is already the most powerful gem which if suits the native from the angle of birth chart then can give effect close to 10%(Maximum possible) effect but here the effect would be even more than 20% because all the 3 trine lord are placed in Saturn’s sign only and are aspecting the fortune house. Any rise in the strength of Saturn through gem will mean a cumulative rise in the strength of all the 3 trine lords. 4) Extending this further, incase a chart is offering only partial neechbhang Raj yog for a debilitated planet who is the cuspal lord of Kendra or trikonas, Then if the native wears a high carat gem of the depositor of that debilitated planet (even if that depositor lords over 3rd, 6th, 8th and 12th houses), gem can push that NBRY towards its completion and therefore get the complete effect of that Raj yog. Time is pulling my leg and asking me to limit myself here, will write another article in continuation of this ASAP as there are lot more rules which are left. · If you are born on the 1st, 10th, 19th or 28th in any month, but more particularly so when these dates occur from the 21st July to 28th August, and from the 21st March to 28th April, wear ruby, amber or yellow diamond for name, fame and gains from government. · If you are born on the 2nd , 11th, 20th or 29th in any month, but more particularly so when these dates occur from the 20th June to 27th July,wear pearls or moonstones for good health, longevity and success in career. · If you are born on the 3rd, 12th, 21st or 30th in any month, but more particularly so when these dates occur from the 19th February to 27th March, and from the 21st November to 27th December,wear topaz or yellow sapphire for good health, long life, success in the education field and domestic peace. · If you are born on the 4th, 13th, 22nd or 31st in any month, but more particularly so when these dates occur from the 20th June to 27th July, and from the 21st July to 28th August,wear pearl or ruby for name and fame and gains of wealth. · If you are born on the 5th, 14th, 23rd in any month, but more particularly so when these dates occur from the 21st May to 27th June, and from the 21st August to 27th September,wear emeralds for longevity, peace of mind and gains of immovable property. · If you are born on the 6th, 15th, 24th in any month, but more particularly so when these dates occur from the 20th April to 27th May, and from the 21st September to 27th October,wear diamond or turquoise for longevity, good health and success in ventures. · If you are born on the 7th , 16th, or 25th in any month, but more particularly so when these dates occur from the 20th June to 27th July,wear pearls, moonstones or ‘cat’s- eyes’ for health, wealth and success in career. · If you are born on the 8th, 17th, or 26th in any month, but more particularly so when these dates occur from the 21st December to 27th January, and from the 28th January to 26th February, wear blue sapphire, black pearl, black diamond or amethyst for good health and prosperity. So you’ve had your horoscope done, and are dealing with the information you’ve gotten from the astrologer. There are strengths in the chart, and also weaknesses, and you’re wondering, “now what”? What can you do about it? Is there a way to counterbalance certain weaknesses, or increase strengths as much as possible? Indeed there is, and one of the easiest methods Vedic Astrologers use to derive noticeable results in a relatively short period of time is through the wearing of natural, untreated gemstones. Gem therapy, or planetary gemology, dates back to ancient Indian, Greek, Egyptian, and Jewish cultures. Men and women would wear gems for the potencies they imparted to them, and not solely for their monetary value. Kings and Queens would wear gemstones in their crowns and elsewhere on the body as a means of expanding their influence throughout their kingdoms. Of course the gems royalty wore were extremely large, and of the highest quality imaginable to have such extremely powerful effects, but gems are still be utilized today by the general populace at large for all kinds of beneficial effects in life. The Indian scriptures called the “Vedas” contain the most complete descriptions and scientific, as well as practical knowledge, of gemstones. These sacred Sanskrit texts give specific details about various gems’ potencies, as well as the method of prescription for their proper medical and astrological usage. In ancient Vedic culture, as well as other advanced cultures, gems became the means for directing certain subtle forces of nature. Particular properties of gems have also been recognized in today’s modern technological world, such as in quartz crystals that are used in timepieces, and diamonds that are being used in lasers and supercomputers. As a matter of fact over a billion people in the world today have taken advantage of Vedic gem therapy to enhance their lives physically, mentally, or spiritually. Only in the west does this seem to be a “new age” concept, for realistically speaking there is extremely little verifiable textual knowledge of this science from the ancient cultures of the western world. In many eastern countries this science has been practiced for thousands of years, dating back to the earliest recorded histories. Planetary gemology, or gem therapy used in conjunction with a person’s Vedic horoscope for gem prescription, is based on the ancient system of Vedic astrology, an extremely accurate and enlightening system based on the fixed positions of stars and constellations (the sidereal zodiac). This system is very precise in determining a person’s strengths and weaknesses, as well as the present direction of one’s destiny for this lifetime. The positions of the planets at the time of our birth reflect the karma that we bring with us into this life from our past actions and experiences in previous incarnations. They represent the multitude of energies in the universe, each planet controlling a different form of cosmic energy that is transmitted throughout the solar system. These transmissions of energy are responsible for formations of life on this planet, as well as our own bodies and even minds. The orbiting planets receive and give specific wavelengths of energy that maintain the order of the solar system. These energies are transmitted as light. 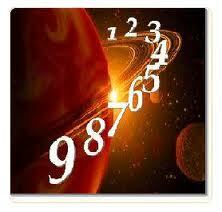 Another name for Vedic astrology is “jyotish”, or the “science of light”. There are seven basic visible cosmic rays emanated by the seven major planets, Sun, Moon, Mars, Mercury, Jupiter, Venus, and Saturn and two invisible rays (ultraviolet and infrared) emanated by the Moon’s north and south nodes, called Rahu and Ketu. The signs of the zodiac, as well as the different houses in the astrological horoscope, represent the different fields that the planetary energies react and move within, thereby giving us information of how these energies will let us “read” what our life experiences will be in this incarnation. We are able to understand the quality of this birth in the same way as the nature of a tree can be read from the seed it is born from. This karma is what will determine how our lives will manifest themselves. The planets will show inherent strengths in certain areas of life, as well as weaknesses that may inhibit our growth and indicate success in specific areas of life. There is a complex system of remedial measures used in conjunction with Vedic astrology that allows one to increase the energies vibrated from certain planets to balance and bring harmony into one’s life. They are twofold, utilizing sound vibrations such as in the chanting of mantras, and increasing specific wavelengths of vibrations of light, which is the basis for gemstone therapy. Different gemstones receive their potencies from the cosmic energies of different planets, thereby having different effects on the wearer. These gemstones are transmitters of electromagnetic energy from the different planets, depending on the stone, thereby having different effects on the wearer. They do this by absorption and reflection of light frequencies. The electromagnetic energy emanating from the gemstone reacts with the electromagnetic energy of the body to produce certain very specific effects. Which gems should be used must be determined through a careful analysis of the astrological horoscope (sidereal zodiac, equal house system only) by a qualified astrologer or planetary gemologist. The new age practice of indiscriminately placing gemstone crystals all over the body can be extremely dangerous if the practitioner is not both well educated and sufficiently experienced in this science. Gem crystals are very powerful, and as easily as they can positively enforce electromagnetic fields of the body, they can disrupt them giving the opposite effect. This can cause physical and mental debilities, so one must be cautious as to how and which gemstones are used in this manner. Used incorrectly there can be disturbances on a subtle, astral level, as well as a physical one. Used correctly they can give a lift and greater potency to our lives in many ways, physically, emotionally, and spiritually. Once you have had a careful analysis of your Vedic horoscope by an experienced and qualified astrologer, or planetary gemologist with the knowledge and expertise to correctly diagnose the weaknesses and strengths in the horoscopic chart, they will usually recommend a gemstone, or several gemstones, that will be beneficial for wearing throughout your life. The chosen stone/s may then be set in a ring, or pendant, so that the stone comes into contact with the skin. This allows them to best transmit these frequencies of light, or electromagnetic energy, to the cells in our bodies. This is done through the ions and electrolytes of the body on a cellular level. On a “subtle” level the cosmic colors of the gems are absorbed through the chakra system of the ethereal body. The reason the fingers are the best places to wear gems is the location of many physical and ethereal nerve centers there. We have seen amazing results in people’s lives through the use of gemstone therapy, the bottom line being greater energy and strength to combat negative karmic influences in their lives, and to maximize positive ones. A word of caution: In order to be effective gems must be natural (not synthetic) and be untreated by heat or irradiation to improve their appearance, as is commonly done on most gems used in the jewelry trade for commercial purposes. Therefore you must know for sure that your source for your purchase has untreated gems and will guarantee this. The treatment of gemstones to enhance their physical beauty has long been an accepted practice in the gem and jewelry trade (especially heat treatment), and is not considered a deceptive practice unless a jeweler does not disclose the fact that the gem has been enhanced, if asked by a customer. We have had the unenviable engagement at times of explaining to a client that although the gem that they purchased is beautiful, as well as costly, it has no ability to transmit the planetary/cosmic energies, nor have any beneficial use whatsoever, except as a weaker form of color therapy alone. (The modern science of color therapy was derived from the ancient science of gemstone therapy.) It is not necessary to spend a fortune to obtain a gem that will give us the desired effects, and the wonderful thing about utilizing the potency of gemstones is that it is a one-time investment that requires no further “maintenance”, but for setting into a ring or talisman. Its potency will never diminish, and you have the gem working for your benefit for your entire lifetime. For certified orignal and untreated gemstones you can contact us on freeastroadvice@yahoo.com or call on +919819050099. Stones and Gems have magnetic powers. Blue Sapphire is the gemstone bearer of the blue color ray. Its effects are a combination of those of the blue ray and of the energy of Sapphire’s mineral composition, corundum. Blue Sapphire nourishes the mind and puts thoughts in order and perspective. The blue ray it carries disintegrates disharmony in the physical head, thereby clearing the pathways for healing energies to enliven all the functions centered there. Blue Sapphire can help you gain self-mastery that is, mastery of your mind, emotions, and physical body. To understand how Blue Sapphire does this, it is necessary to understand something of the nature of the mind. The mind is complex and comprised of many levels or areas. Thoughts are formed at the highest level of the mind, in the aspect closest to your purely spiritual aspect. They are generated continually; indeed, a new thought is born every moment. As Soul, you have the power to discriminate and choose which thoughts you wish to have. This is an important choice, because your thoughts feed and otherwise profoundly affect your emotions and physical body. Consequently, learning mental discrimination is essential. This discrimination is the ability to choose which thoughts you would like to entertain, express, and empower. It is also the ability to choose which thoughts you would like to ignore and allow to flow out into the ethers so that they never manifest or affect anything. Blue Sapphire can teach mental discrimination. It is an expensive stone. But one should wear it after consulting a therapist, astrologer and numerologist. It gives relief to heart patients and protects the wearer against accidents and dangers of fire and natural calamities. It removes hassles and irritants, agonies and frustration in life. Sapphires are placed in different categories. The Brahmin class is blue or white with a bluish hue. The kshatriya class is raddish with bluish hue. The Vaishya class is white with dark blue tinge. The shudra class is blue with a blackish hue. A blemished Sapphire brings in trouble. If it is having white lines, it affects wearer’s eyes. Milky hue causes poverty. Cracks in stone may cause accidents and a double colored one may bring in enmity. Non-transparent may affect the wearer’s near relations. If sapphire changes its color, it warns the wearer of a treat of attack to him/her or a conspirary against him/her. It has been noticed that the stone comes back to its original color after the calamity is avoided or passed. 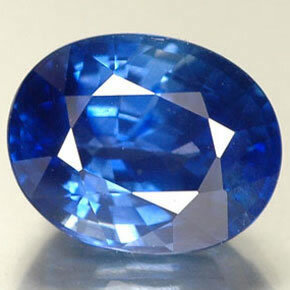 There is a substitute for Blue sapphire and that cheaper stone is called Kathela. It can be worn when there is a conjunction of Saturn-mars or Saturn-rahu in the birth chart. It should be 3 to 3.5 carats in weight for domestic peace and financial prosperity. It helps in preventing vomiting, nausea, headache, vertigo, abscess, eye infections, allergies and tensions. The wearers of the stone would be attached and faithful to his/her family members. This stone should be worn on Saturday two hours and forty minutes before sunset. It can be also worn during pashya nakshatra or eclipses after distributing alms to the poor and doing puja. Expert’s opion that Blue Sapphire should be worn on the second finger and the weight should be atleast 5 carat. To achieve improvement in fertility, Blue sapphire can be combined with Tourmaline of green color. “one spoon of sugar can boost an average person’s energy level. That same spoon of sugar can be life threatening for a person with diabetes”. For original blue sapphire gemstone with authentication certificate pls contact us on freeastroadvice@yahoo.com or skype id tushar666 or call us on+919819050099. PRICES ARE IN INDIAN RUPEES PER CARAT.